This is one of those glorious examples of a recipe I thought up one night while going to sleep, though “hmm, might work okay,” and then it exceeded all expectations. I will be making this a LOT more. 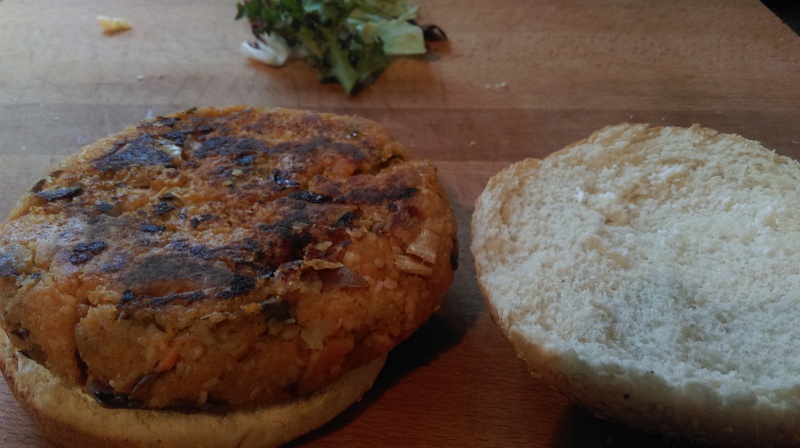 The cool, refreshing coconut balanced by the milder sweet potato flavour with a little sweet chili sauce – I can only describe it as being like a Tikka Masala sauce in burger form. You simply must try these – the smell, the taste, the texture all work together phenomenally. And it brings a little summer back to your kitchen! 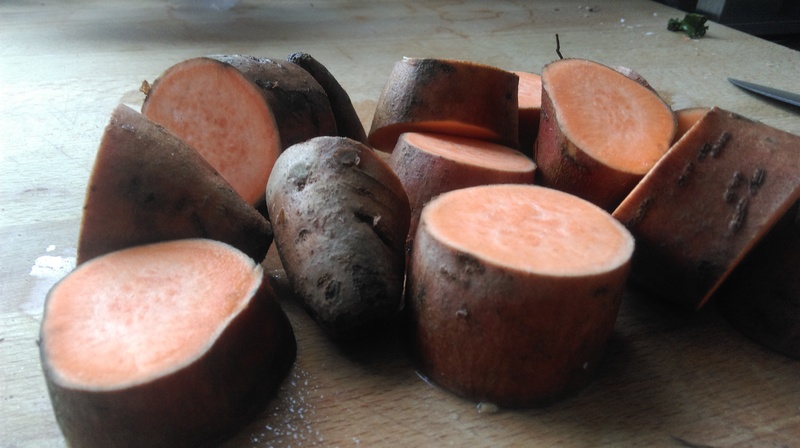 Cut the sweet potato into chunks and boil in salted water. Peel if you like, but I think the skin adds flavour. Fry some onion with a little salt and sugar until they brown. 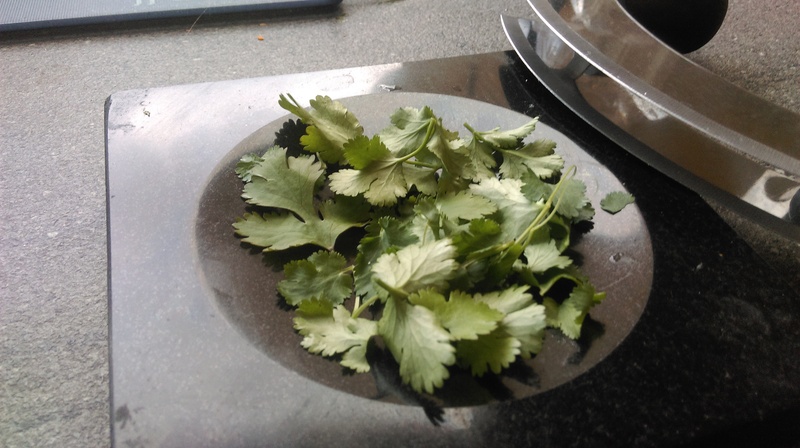 In a bowl combine desiccated coconut, cumin, chopped coriander and chili. You want about 1/3 cup per potato, but feel free to add more. 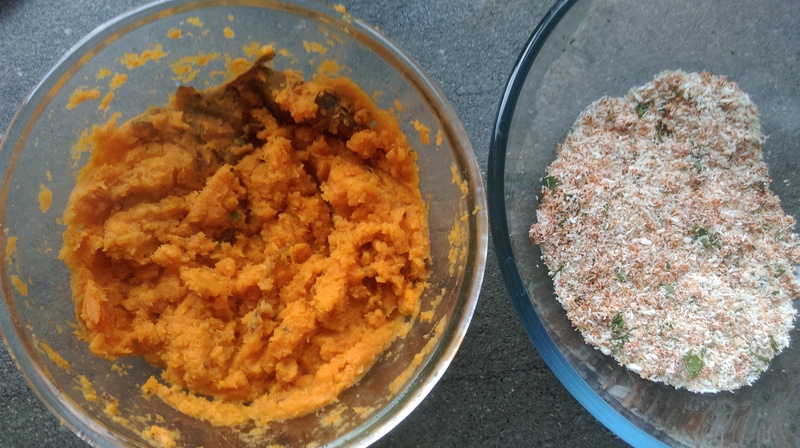 Add the sweet potato and onion to the coconut mixture, then add roughly the same volume of cooked cous cous. 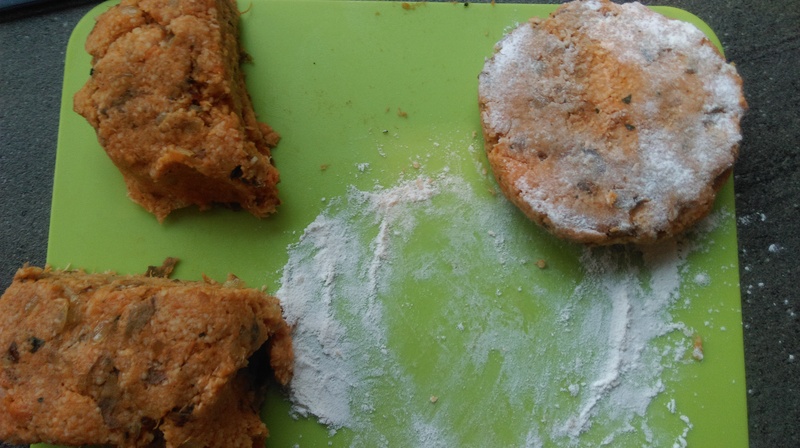 Sprinkle a little flour onto a board and your hands, then form the mixture into patties. Fry until the outside has sealed and browned a little. These go great with a little cool mayonnaise and sweet chili sauce in a bun, with the regular burger salad. 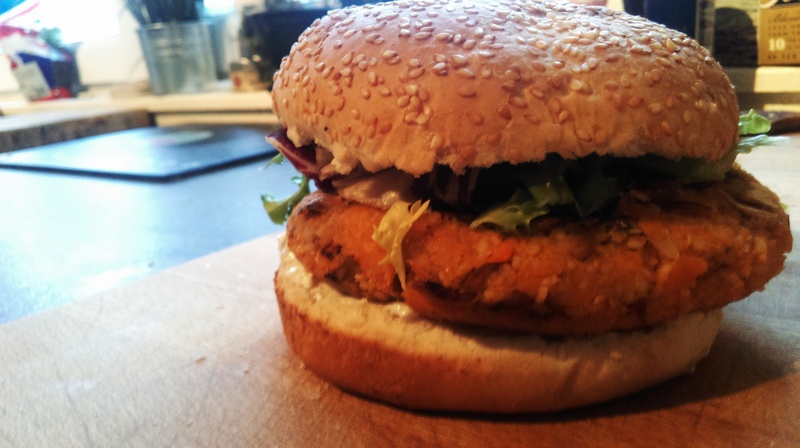 A little feta or mozarella to top wouldn’t go amiss either! These will keep in the fridge for 5 days or so, wrapped in cling film. 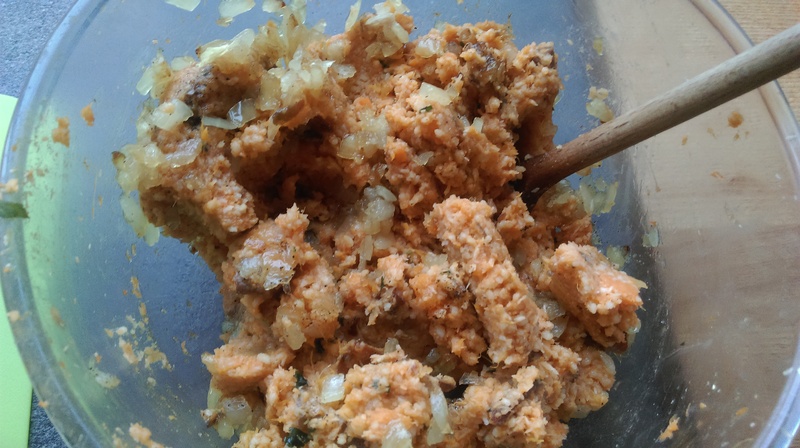 Posted in Guesscipes, Mains, VegetarianTagged coconut, cool, cous cous, curry, guesscipe, recipe, summer food, vegetarian. burger, veggie burgerBookmark the permalink.